The LSM peristaltic pumps for biogas enjoy several years of experience in many biogas plants for methanation of various residues from agricultural production, food and fat industrial byproducts. In the biogas process, LSM peristaltic pumps are used, among other things, for the transfer of raw biomass into the digester. The diversity of raw materials, with their high concentration of straw, fiber, various solid waste, food waste, grease … make life difficult for conventional pumps. 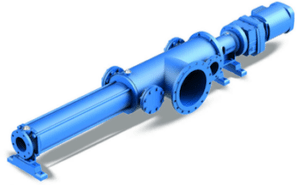 Unlike LSM pumps, which by their design, allow significantly higher solid content. Straw residues consistently present in biomass, greatly accelerates the wear of stators and rotors of traditional progressive cavity pumps, unlike for LSM peristaltic pumps that allow the passage through of more solid content without damaging the pump. 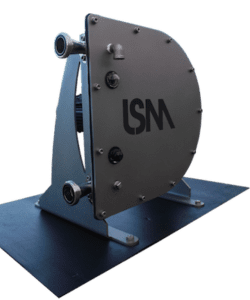 LSM peristaltic pumps are totally bidirectional. That makes “pumping from” in a first part of a process, then “pumping to” in a second phase of a process extremely simple. Discover the benefits of using peristaltic pumps in biogas business. Wangen offers a wide range to cover the special needs of biogas plants. Undeniable market leader in biogas, Wangen has won the trust of all players in the profession, thanks to its high reliability, in the extreme environments that are biogas plants. Looking for a progressive cavity pump?